Do you ever wonder how the famous Burger King's monarch became a hero in a video game? Should this game really freak out gamers? Blitz Arcade could help with some insight. In the past month, Burger King launched, using its mascot as a hero, multiple Xbox 360 games that can also be played using the original Xbox. 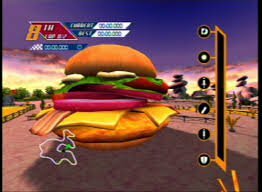 These King games include the "Pocketbike Racer" game, which is a racing game; the "Big Bumpin" car game; and the "Sneak King," which is played by surprising people with burgers using stealth powers. The game costs $4 and has been met with average reviews. 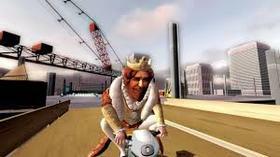 Burger King's video games exceeded gamer expectations and as a result became popular among gaming blogs. According to Chris Swan, Blitz project manager for arcade division, the trio of King games was conceptualized during an accidental meeting of Xbox and Burger King executives at the 2005 Cannes Film Festival. The games were launched 7 months later. The King games were focused on the family-friendly genre, said Burger King's senior director for promotions Martha Stewart Flynn. The Sneaking Games was born to compliment the company's ad campaign that featured the mascot's stealth feeding. The restaurant company conceptualized the pocket bike racing, while Blitz drafted the bumper car games. According to Swan, the most challenging game to develop was the "Sneak King." Although the concept was easily agreed upon, it was difficult to make it an enjoyable game during the first 2 stages of its development. Compared to the other games such as the PowerUp Forever arcade game, which easily gained fans, Sneak King wasn't doing very well. It was only when the dummy was replaced by the actual King that the game clicked. Since adver-games can be easily annoying, Burger King and Blitz made sure to use every precaution so the game doesn't fall to this category. There is no advertisements about Burger King's products and only the company's logo can be seen on the screen. The end result was a trio of games that has been gaining a cult fan base. With this outcome, executives at Blitz and Burger King hinted on other games with the same concept in the future. Flynn added that additional features are in the works and will be available through Xbox Live very soon. Both Blitz and Burger King are excited that this kind of business model for games actually work.